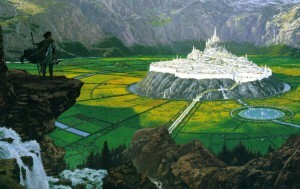 Test your Middle-earth knowledge with this quiz! I think it’s a given that 90% of all online quizzes are just rubbish. Which is why I was really surprised to stumble upon this great Buzzfeed Middle-earth quiz that will may actually stretch your Middle-earth knowledge. If you want to get 20/20 you’ll need to have a good knowledge of The Silmarillion and Unfinished Tales. And watch out, there’s a couple of sneaky trick questions that could slip you up! Good luck! (for the record, I got 17 right). 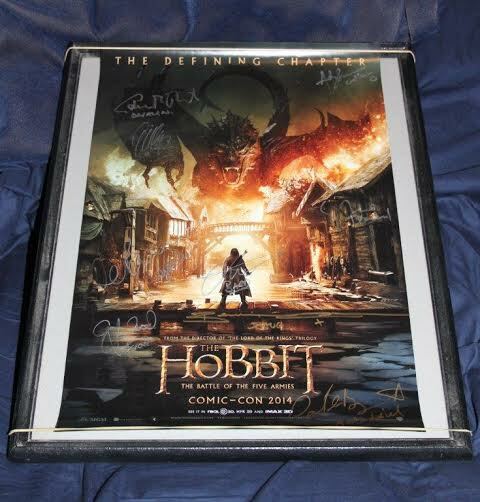 Pledge $10 to our One Last Party campaign and you could win this signed Desolation of Smaug poster! The poster (measuring 13′ by 20′), together with the holographic wristband that was needed to get it at SDCC, will be given away to one lucky supporter, chosen at random from all the pledges of $10 and above that we receive THIS WEEK (Monday 12th to Sunday 18th January). Each new pledge of $10 or higher during this final week will receive a separate entry into the draw. That’s right: the more times you pledge, the more chances you have to win!